The Atlassian Summit 2016 is the biggest event in the Atlassian calendar. If you are an Atlassian fan or a heavy user of solutions such as JIRA or Confluence, this is a must-attend conference. 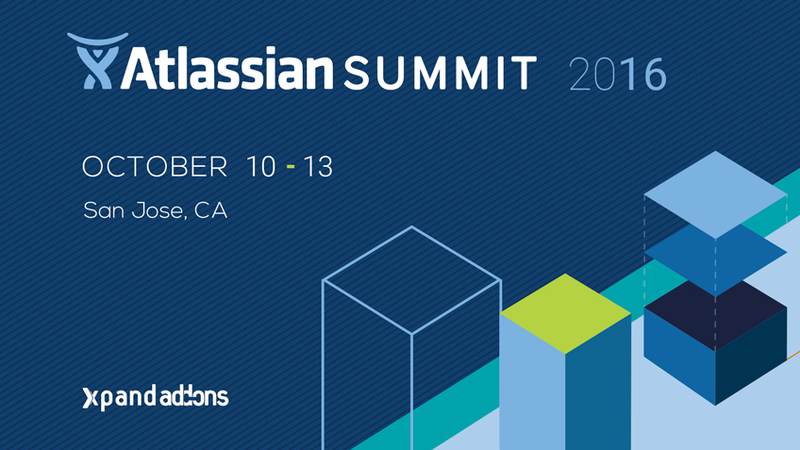 The Xpand Add-ons Team (Xpand IT division made by Atlassian Experts) is proud to announce its presence as a Silver Sponsor at the Atlassian Summit 2016 in San Jose, California. The Xpand Add-ons Team will be in Silicon Valley to introduce their flagship products: Xporter for JIRA and Xray for JIRA, used by several Fortune 500 companies. This Summit is Atlassian’s annual user conference and the biggest Atlassian event of the year. It will take place at the San Jose Convention Center between October 10th and 13th with registrations available on the Summit Website. This three-day conference is the perfect opportunity to meet Atlassian experts, attend demos, learn solutions and best practices that can change the way teams collaborate. This year Xpand Add-Ons Team will once again be part of this event. With 2,000 customers in 70 countries, their solutions are used by several Fortune 500 companies and have proven to be a huge success. The presence of Xpand Add-ons at the Atlassian Summit is a result of the continuous investment of Xpand IT in developing add-ons for the Atlassian Marketplace. Tesla, Samsung, Mastercard, Porsche, Vodafone, Boeing and Intel are some of the companies that currently use Xpand Add-ons. Xporter for JIRA Cloud has recently been released and is currently one of the top-rated add-ons for JIRA Cloud in the Atlassian Marketplace. This add-on extends JIRA’s exporting capabilities, and it allows users to export data from JIRA to several document formats including PDF, Word and Excel Documents. Xray is also an extremely popular JIRA add-on for test teams. With Xray for JIRA, teams can create, view, edit and execute tests, both manual and automated. Besides test executions, Xray for JIRA enables the creation of dashboards to track requirements, tests and test sets. Xray is consistently one of the top-selling cloud add-ons for JIRA, and one of the top rated of the bestselling Testing and QA add-ons for JIRA. Some of the tracks outlined in this year’s event are: Build & Deploy, Extend & Scale, Team & Culture, Platform & APIs, Plan & Track, Improve &Innovate, and Service & Ops. The Atlassian Summit will be focused on connecting users to information and people that will help them maximise the value of Atlassian products.